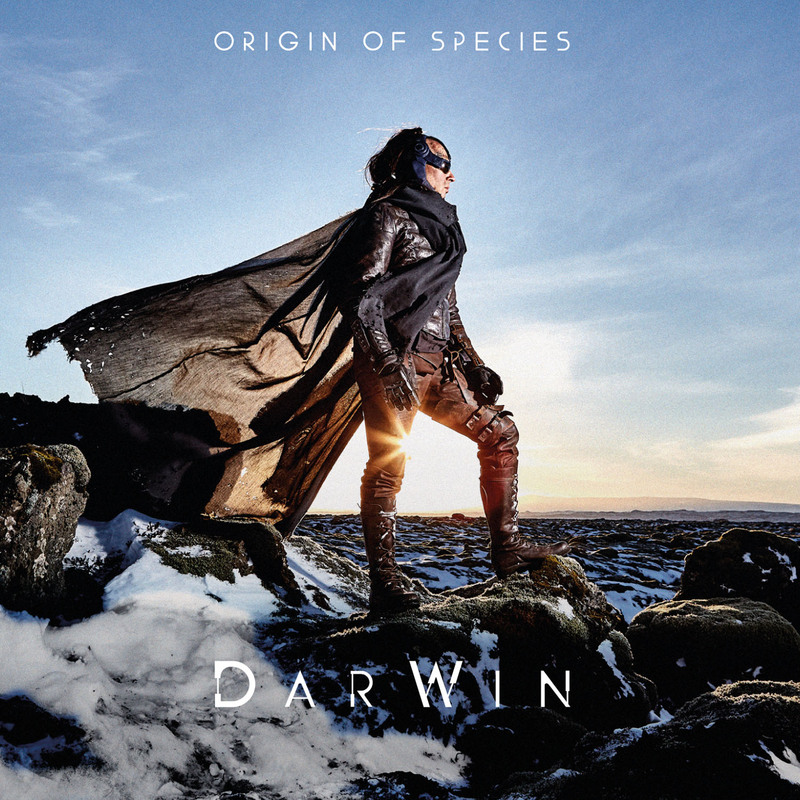 Official Album Trailer for DarWin's epic new double album 'Origin Of Species'. An exclusive behind the scenes interview with the legendary drummer and producer Simon Phillips (Toto) on creating the epic and intricate musical fantasy concept album 'Origin Of Species' with DarWin. A complex project that’s eschews the hollow immediacy of much contemporary art. A story that demands attention and imagination. With music sweeping in scope, at times evoking hard rock virtuoso shredding, alongside grand orchestral compositions, warm harmonies and soaring choruses. A detailed conversation with Simon Phillips (Toto) on mixing the epic and intricate musical fantasy concept album 'Origin Of Species' with DarWin. A complex project that’s eschews the hollow immediacy of much contemporary art. A story that demands attention and imagination. With music sweeping in scope, at times evoking hard rock virtuoso shredding, alongside grand orchestral compositions, warm harmonies and soaring choruses. The legendary Simon Phillips (Toto) takes us through a tutorial of the single 'For Humanity', taken from DarWin's epic debut album 'Origin Of Species'. An epic saga that addresses the challenges of mankind in our coming era. It depicts the role of a changing planet, and the potential, as well as limitations, of technology to help solve mankind’s greatest challenges. The story of Origin Of Species will continue through epic music, visual art and videos. Legendary drummer Simon Phillips (Toto) gives an in-depth behind the scenes insight into the drum tracking of the debut album 'Origin Of Species' by DarWin. A complex project that’s eschews the hollow immediacy of much contemporary art. A story that demands attention and imagination. With music sweeping in scope, at times evoking hard rock virtuoso shredding, alongside grand orchestral compositions, warm harmonies and soaring choruses. The legendary Simon Phillips (Toto) performing the drums for the single 'Forever' (playing in 5/4 and Transitioning Between Meters), taken from DarWin's epic debut album 'Origin Of Species'. An epic saga that addresses the challenges of mankind in our coming era. It depicts the role of a changing planet, and the potential, as well as limitations, of technology to help solve mankind’s greatest challenges. The story of Origin Of Species will continue through epic music, visual art and videos. The legendary Simon Phillips (Toto) performing the drums for the single 'Forever', taken from DarWin's epic debut album 'Origin Of Species'. An epic saga that addresses the challenges of mankind in our coming era. It depicts the role of a changing planet, and the potential, as well as limitations, of technology to help solve mankind’s greatest challenges. The story of Origin Of Species will continue through epic music, visual art and videos. The legendary Simon Phillips (Toto) takes us through a tutorial of the single 'Forever' (Playing in 5/4 and Transitioning Between Meters) taken from DarWin's epic debut album 'Origin Of Species'. An epic saga that addresses the challenges of mankind in our coming era. It depicts the role of a changing planet, and the potential, as well as limitations, of technology to help solve mankind’s greatest challenges. The story of Origin Of Species will continue through epic music, visual art and videos. A personal introduction to the world of DarWin in the words of the legendary drummer and producer Simon Phillips (Toto). DarWin features in an epic saga based in the near-future that addresses the challenges of mankind in our coming era. It depicts the role of a changing planet, and the potential, as well as limitations, of technology to help solve mankind’s greatest challenges. The story of DarWin is depicted through the debut album 'Origin Of Species' and through graphic novels and videos. The epic debut by 'DarWin' is out now on all streaming services.